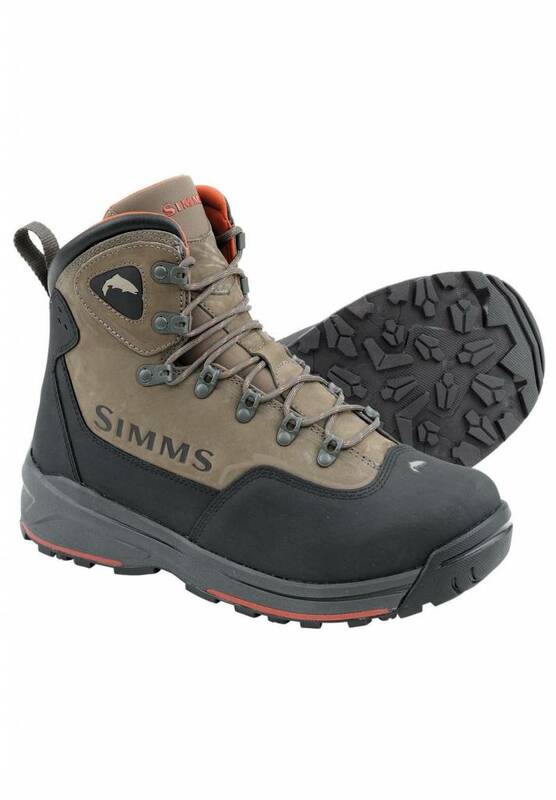 Simms new Headwaters® Pro Boot brings trusted traction and durable performance to the pursuit. Waterproof nubuck leather with a scratch rubber upper combine to limit line-snares while winning the war against wear and tear. Dual-density EVA midsoles minimize shock. The angler-appreciated Headwaters® platform maximizes underfoot stability. Finally, Vibram® Idrogrip outsoles have ESS plates for improved cleat retention. They also help bolster grip on the slipperiest trails and streams thanks to proprioception engineering that puts more rubber in contact with the river bottom. 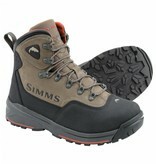 Approximate Pair Weight (size 11): 61.6 oz.